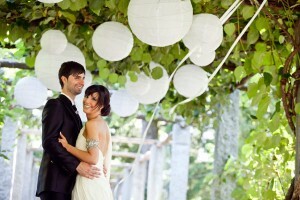 Paper lanterns on your wedding day. Wow. Close your eyes and imagine a sea of lighted paper lanterns – on the ground or up in the air. It’s fairytale-like. Paper lanterns radiate a dreamy, magical feel to the occasion. And they’re pretty to look at – even when they’re not lit. Imagine strings of colored paper lanterns hanging from the ceiling. It’s like a grown up birthday party. 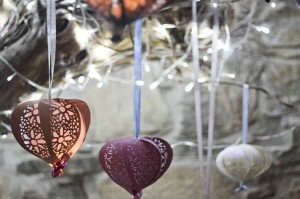 Although it has a festive touch to it – it somehow gives a romantic feel to it as well. 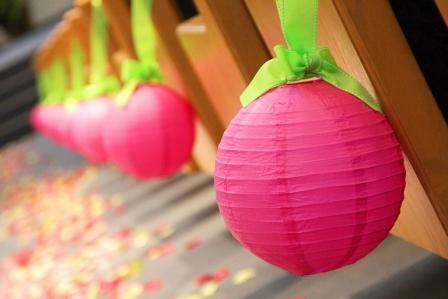 Paper lanterns come in all shapes, sizes and colors. The popular ones are the round ones. Some paper lanterns even have a printed pattern on them. Paper lanterns can give splashes of color and life to a rather dull and solid background. They add a romantic soft feel to the place. 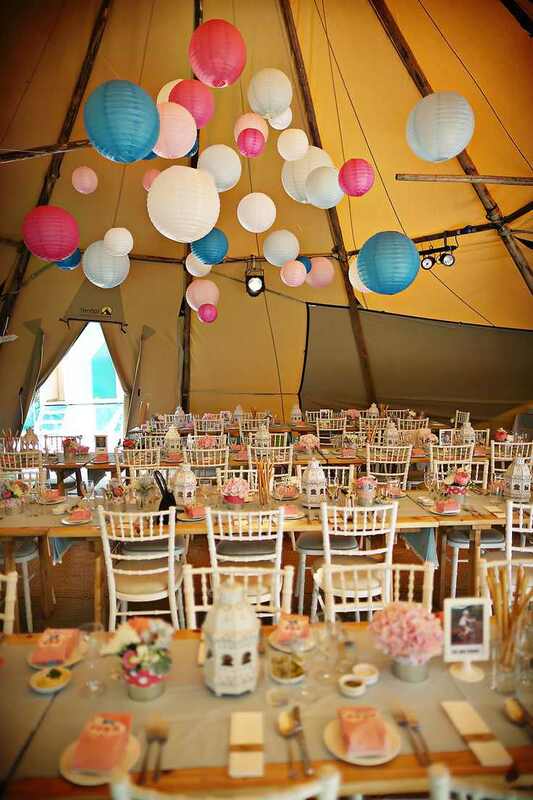 Paper lanterns will look great in places where there are high ceilings combined with woodwork and bricks. The super sized ones will look awesome in an industrial-looking place. Or even in a barn. 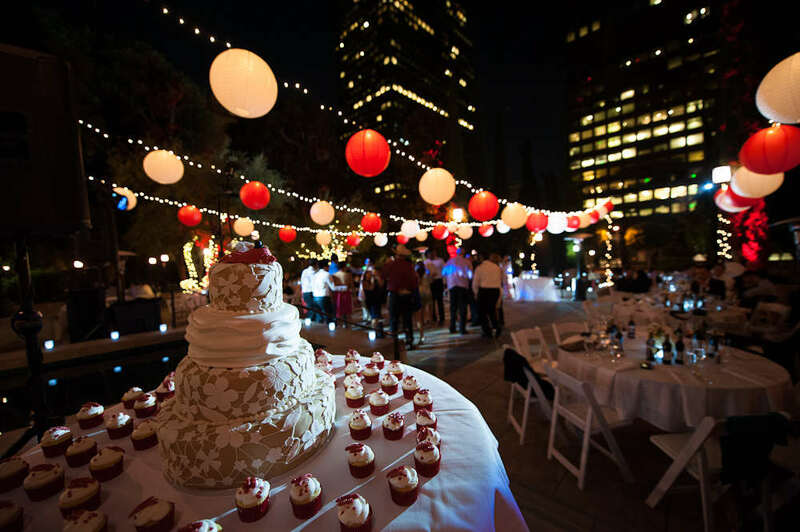 Paper lanterns will work just great even when you use it as decoration outdoors. There are pretty paper lanterns that have intricate patterns – pretty much like a lace. Imagine how pretty they look like especially when they emit light. Paper lanterns can also do its magic touch when they’re used to prettify a simple outdoor wedding canopy. Most paper lanterns are the hanging type. But there’s also a type of paper lantern, which can be popped up and then inserted with a metal frame to hold its shape – just like a regular lantern. You can put ribbons and play around with it. Putting LED lights on them is actually a great idea. There are paper lanterns that can float on the water – they look like water lilies floating in a pond – except they’re prettier and more dream like because they’re glowing with lights. Some paper lanterns can be used to light the path – imagine a pretty line of paper lanterns with delicate cut-out designs. Definitely a showstopper – as you won’t be able to help but stop on your steps and admire the intricate design up close. 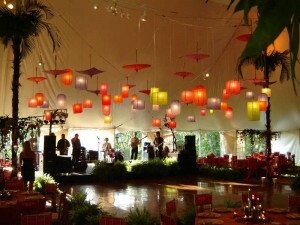 Choose a bright and bold colored paper lantern – preferably the round ones – when you want to decorate a place that is rather drab and staid. This will liven up the venue. 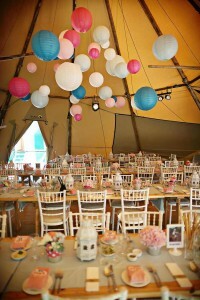 Paper lanterns look great with fresh flowers or paper flowers too. 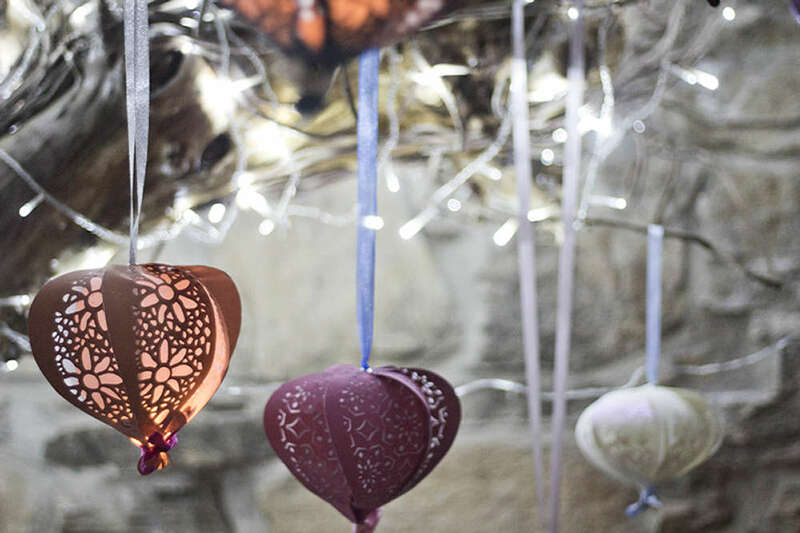 They look even more awesome with a string of soft fairy lights with them. Or with paper parasols. They will look elegant and timeless with long white drapes. 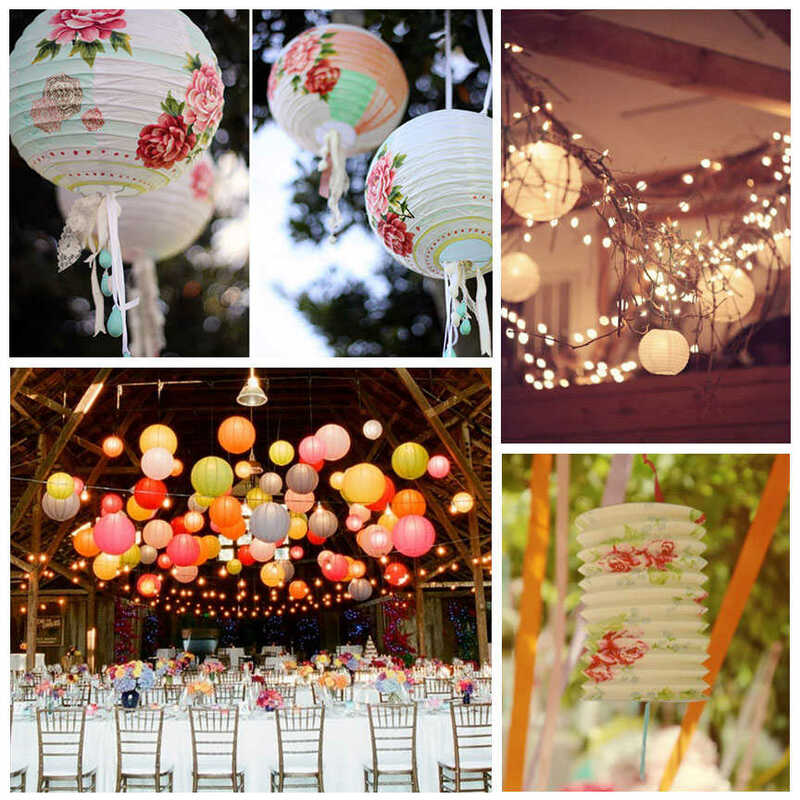 You can hang paper lanterns on the seats too – embellish it with colored ribbons and pretty strings. 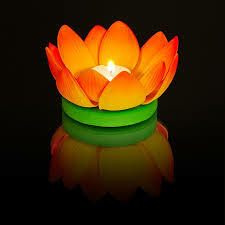 Illuminated paper lanterns with flowers will look definitely unique and beautiful as table centerpieces. 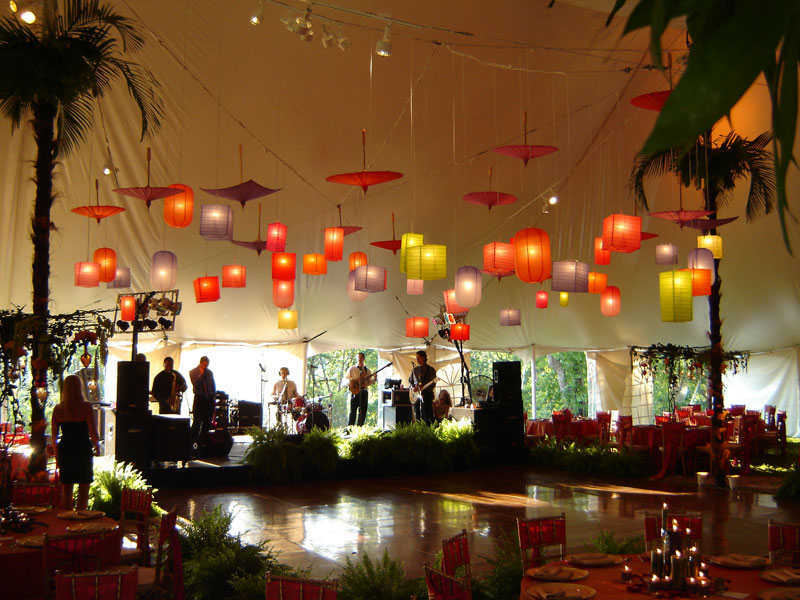 Paper lanterns are versatile – depending on the shape and color, they can take on different kinds of look – formal, festive, dreamy, romantic. But nothing beats floating paper lanterns up in the air – it’s whimsical, festive, dreamy, beautiful, and yes, romantic.